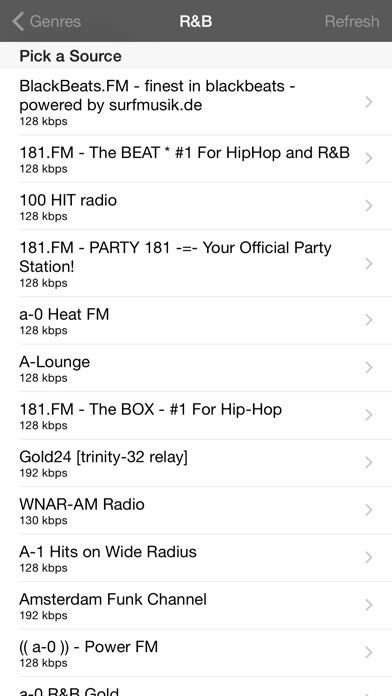 Listen to over 50,000+ music, talk, comedy, and news radio stations from all around the world, streaming at high digital quality with no monthly fees or hidden charges. The future of music is here - streaming live through the internet 24/7 for your listening pleasure. Whether you're into rock, pop, jazz, orchestra, country, RnB or hip-hop, there's something for everyone. 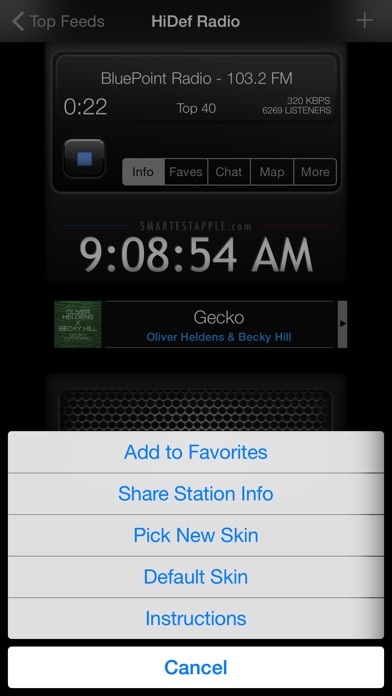 Features - Listen to stations in the background while you use other apps - Record audio - Automatically reconnects you if you lose connection - Share stations with your friends via email - Listen to stations on your desktop computer - Browse the web without leaving the app with our built-in ad-blocking browser. 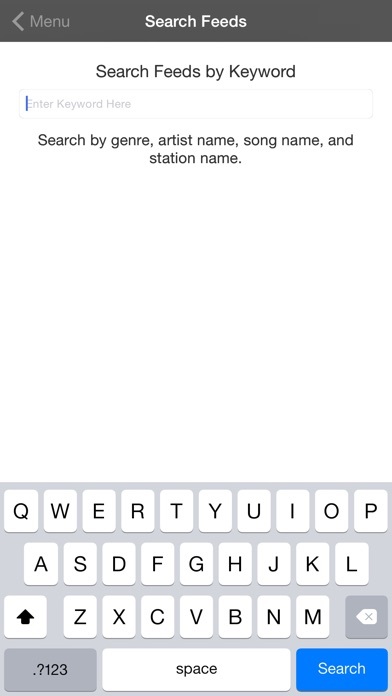 - Add your own stations. 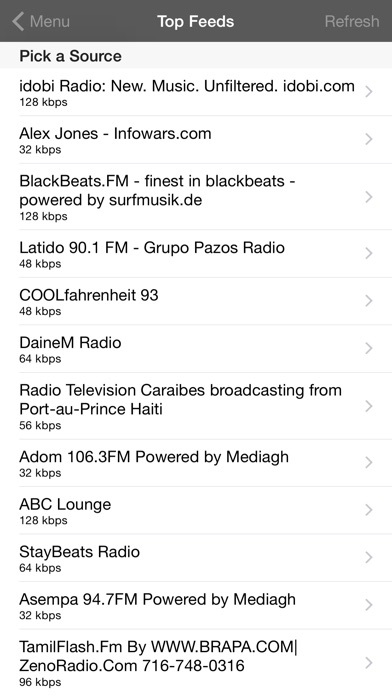 - Detects and plays .pls and .m3u links - Search through the stations by artist, genre, or station name - Choose a different skin or make your own interface - Save your favorite stations for quick access This app works on iPod touch or iPhone. All you need is an internet connection to use it. Nothing else. Stable app that gets the job done. 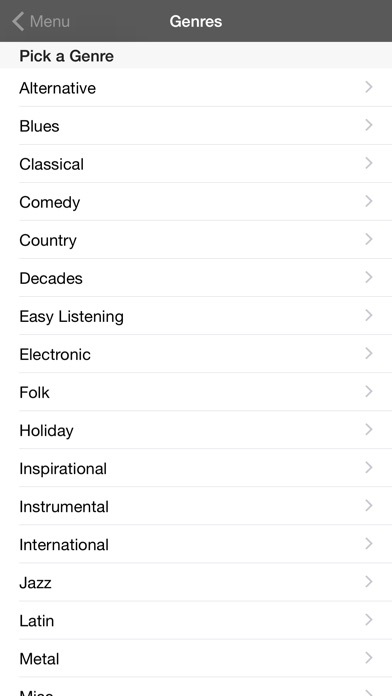 Great app has many great choices and easy to use!